You need to change the settings in the light files. 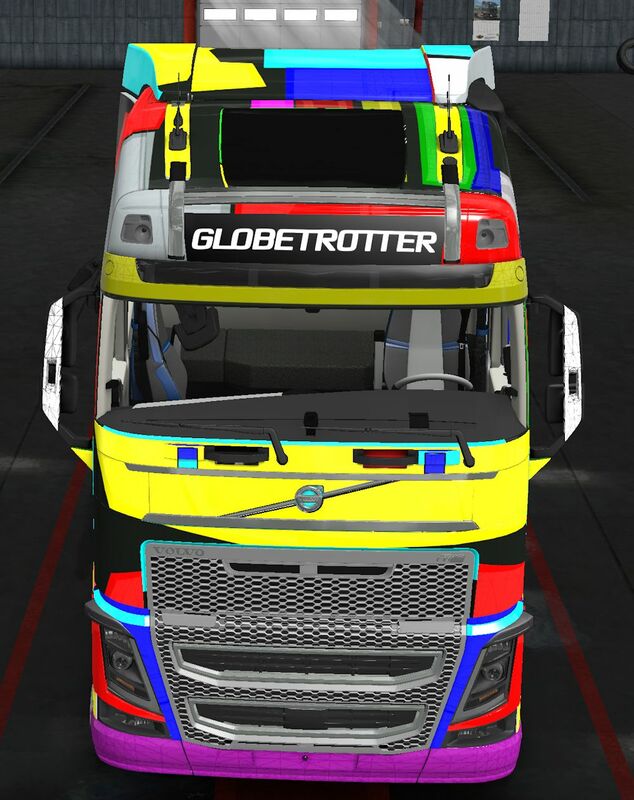 I don't know if Volvo finished all tests but the xxl Cab was told about in a article that tested the new VNL. 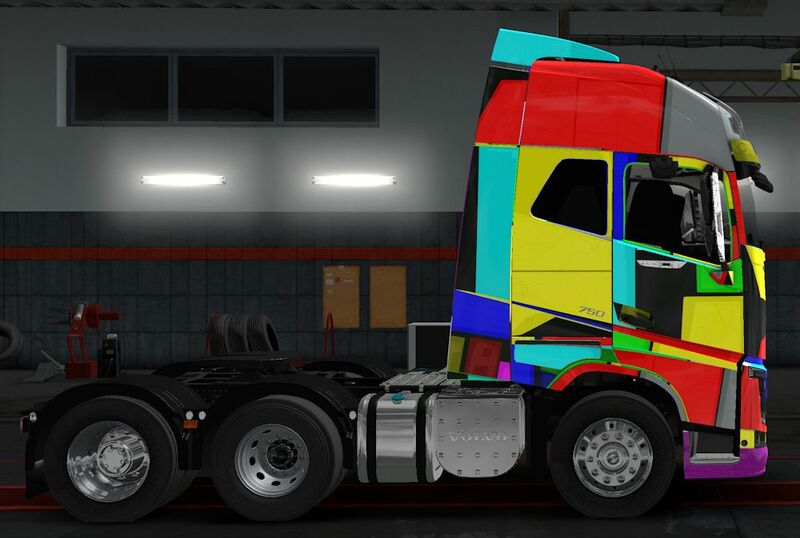 I know ... me again with templates; HOWEVER, the Volvo FH16 Template is atrocious. 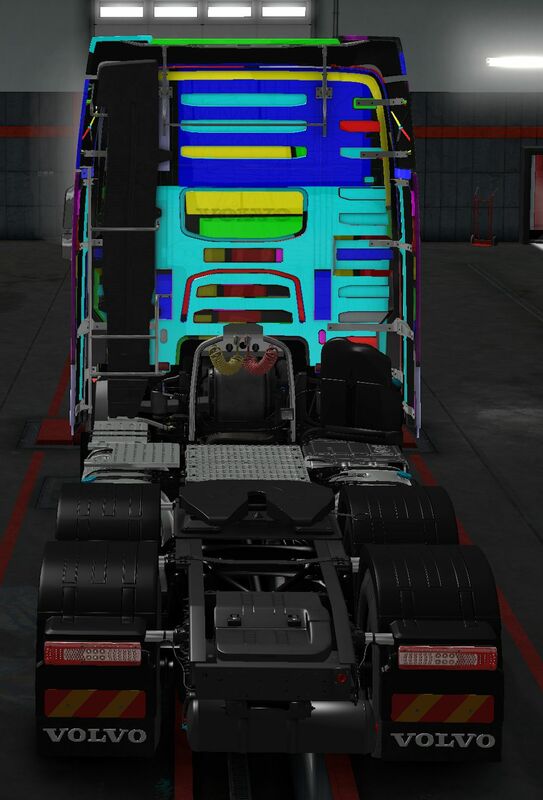 Nothing lines up, different parts are apparently in different scales and what is painted on a panel on the template doesn't appear in the same place on the truck??? 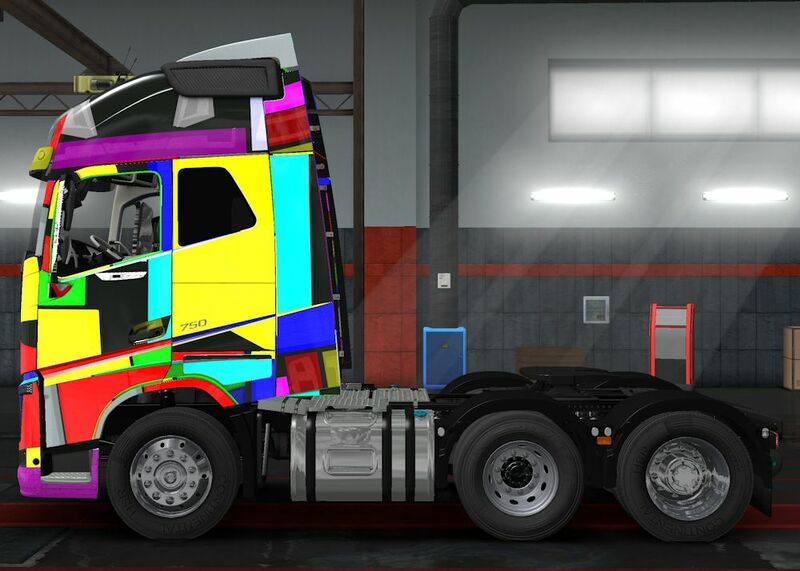 It almost looks as though the default ETS2 Volvo FH16 template was added to the RTA Truck ... and isn't compatible. 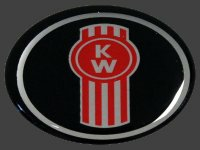 I'll post pictures of the template with each part painted and how it appears on the Truck itself - I think that will tell the story. Thanks, I'll give that a try and hopefully it fixes the problem as it is a very nice truck! 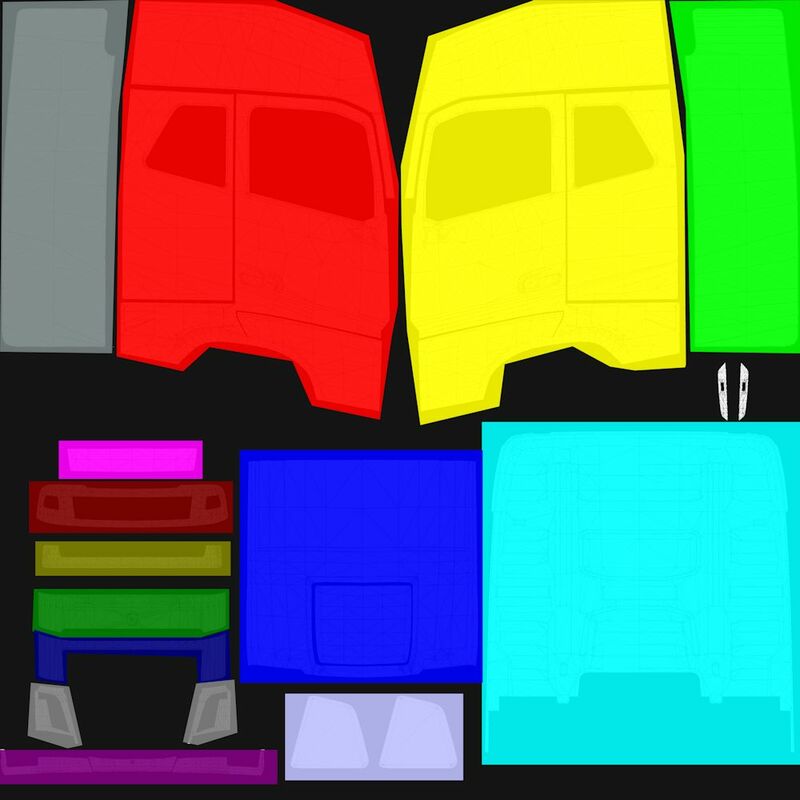 Even though the front panels are at a different scale and have gaps between them on the template, it is still possible to scale parts of the paintwork in order to align them by using registration lines overlaying the part you want to align (in a separate layer in Photoshop), group the registraion marks and graphic layers, duplicate them and then move into position over the panel where they can be scaled so that the registration marks align to the correct panel positions. This paintwork which has a very complex hand painted "smoke" graphic wrapping around the front of the truck was done this way. That did the trick ... works nicely now - cheers! Right now the "far" accessory, the headlight is a dark grey. 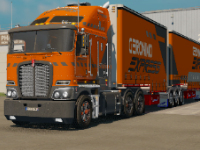 Is it posibile to make it completely black like on real FH16?